Spann Wilder Law, LLC – Representing clients who have suffered workplace, catastrophic and complex injuries, wrongful death, social security disability, vehicle accidents and other injury claims. Which Employers Are Required To Have Workers’ Comp? How Long Before A Case Settles? The S pann Wilder Law has an experienced team that that knows firsthand the challenges every day working people face when confronted with job injuries or other tragedies that cause the flow of income to the household to become non-existent or very slow. 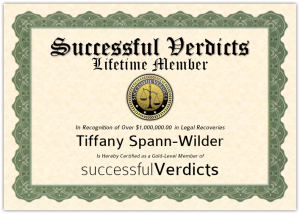 Lead by Attorney Tiffany Spann Wilder, we know that people need someone who can relate to them and be down to earth enough to make complicated legal matters seem elementary. Our team is here to help you navigate through these difficult times. Our office is conveniently located in North Charleston, South Carolina and we’re always ready to assist you with your Workers’ Compensation, Auto Accident and Serious Personal Injury claims. The Spann Wilder Law firm provides compassionate representation for South Carolina’s injured. We work hard day in and day out for our clients who have suffered workplace, catastrophic and complex injuries, wrongful death, social security disability, vehicle accidents and other injury claims. We are a Community Centered, Client Focused law firm. We promise to do whatever it takes to fairly and aggressively represent your claim. We will tell you the truth about your case from beginning to end. We will do whatever is necessary to bring your case to a just and fair conclusion. The pineapple is the firm’s logo, not just for looks, but because of its meaning and the importance of it to our mission and promise. The pineapple is a sign of hospitality and welcome which grew out of travels to the Carribean by early sailors. Sailors soon learned that if a pineapple was placed at the entry of a village or on a fence posts that this was a place they were surely welcome. Many fine furnishings still display carvings of pineapples for the element of welcome in the home. Many Inns throughout Charleston, as well as other areas in the South, still display pineapples in their decor. At Spann Wilder Law, we thought it only fitting that this symbol be a part of what we convey to you – that you are welcome, your legal claim is among friends who will tell you the truth– NO EMPTY PROMISES! Your friendship and lifelong relationship are most valuable to us, you are never “just a case”. The information you obtain on our website is not, nor is it intended to be, legal advice. It is always best to consult an attorney directly for advice regarding the specifics of the individuality of your claim. We welcome your calls, letters and electronic mail. Please do not send any confidential information to us until such time as an attorney-client relationship has been established as the information may be discoverable by the other party to your claim if we do not proceed with your representation. This website should not be considered as a description or characterization of the quality of the firm's representation and in no way should be interpreted as a guarantee of a specific result for your case. Every case is different and must be evaluated on its own merit. 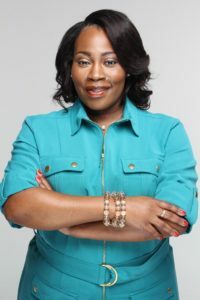 ©Spann Wilder Law, LLC. All rights reserved.